Ruby on Rails for FinTech Products. Is It a Fit for Your Startup? Financial technologies or fintech is one of the hottest topics in startup communities around the globe. And I’m not even talking about blockchain and crypto. Every day, a new solution for online payments, remittance, banking, insurance, investment, finance management, and other money-related activities is being introduced on the market. All these new fintech startups and companies in the finance industry have a common attribute: they want to make people’s financial life better. The first challenge for every fintech startup enthusiast is to select the right technology stack for the future product The web development industry is like an ocean with a plethora of software tools, and each of them has own marvels and drawbacks. In that context, we should focus on programming languages in combination with frameworks based thereon. The options include Ruby and its framework Rails, Python and Django, Java and Play, Go and Revel, PHP and Laravel, and other technologies. Railsware decided that Ruby on Rails was the way to go, and we were right. Our company was founded when Rails was only at the beginning of its way to the status of a leading-edge framework. For over 10 years of active production use, Rails proved itself a remarkable and friendly tool. It was not free of gaps, but they were eliminated rather fast and that enabled the framework to achieve a high level of demand in the web development industry. RoR is characterized by a balance of speed and quality of development. Its geography covers hundreds of cities, and the startups in quest of Ruby on Rails London or Dubai are unlikely to fail in their search. Today, it is a mature and consistent framework, which we can recommend to our customers. With that in mind, a question about RoR capabilities for fintech arises. Can we create robust financial software for both disruptive startups and some of the cleverest incumbents in finance? We can find an answer in the following examples. Rails boasts numerous benefits including high code quality, robust development principles, and an extensive ecosystem. Perhaps, that is why the most popular reward-based crowdfunding platform was built with RoR. That’s right, we mean Kickstarter! What else has been built with the framework? At first, let’s have a look at fintech projects we built at Railsware. Quorso is a challenging project that our team built from scratch. It is an SaaS B2B platform designed for companies of various size regardless of industry or market to ensure costs optimization. The app finds the most efficient application of funds and cost-reduction opportunities according to analysis of a company’s financial activity. With Quorso, customers get a ready-to-use solution, which answers the questions of where to grow and what to consider to improve financial health. Probably, this is one of the most complicated projects at Railsware. Ruby on Rails is good at solving knotted tasks, and it became a perfect match to this project. The framework’s flexibility enables fast prototyping which is extremely important when there is high competition. It doesn’t bother with different conventions that are inherent to more heavyweight programming languages like C# or Java. Rails is a developer’s true friend because it helps one understand how to perform tasks without struggling against the tech stack. To build this B2B financial management platform, we set up a core team of T-shaped specialists. The product was developed from the very beginning passing all relevant stages including minimum viable product. Now, the next important step lies ahead – to make the project self-sustainable. This means assisting Quorso in building their own team for handling the product by themselves. BrightBytes is a research-based decision support platform. Its core objective is to provide tools for optimizing students’ learning results. The optimization refers to not only educational but also the financial part of an educational establishment’s activities. BrightBytes allows schools to optimize budget disbursement and apply funds more efficiently. Moreover, part of this project leverages machine learning to predict students’ dropouts. Target users of the service are principals, educational leaders, and school managers of all kinds. Railsware participated in both front-end and back-end development for this project. We collaborated with the BrightBytes team in the most complicated parts of the project. As a result, the final product can boast high quality code (thanks to Ruby) and achieved business goals. That’s it for Railsware’s products. Now we can refocus our attention to other great projects built with Rails. Square also known as Squareup is not a conventional payment service. It provides a plethora of software products including solutions for inventory, payroll, deposits, analytics, point-of-sale, customer engagement, and many others. And we can be proud that Ruby on Rails underlies this web application. Today, Square is one of the most feature-rich mobile processing solutions available on the market without a monthly fee. The service is also attractive for small and medium-sized businesses due to its pricing policy – no statement or scheduled fees. You pay a certain rate only for swiped, keyed, and online transactions. To sum up, Square is an affordable solution packed with a bunch of tools to facilitate business growth. Lending is the leading category in the fintech ecosystem. A plethora of services gives you the ability to borrow funds from individuals or business using your smartphone or PC and forget about the traditional ways of taking out loans. Fundera lets you compare several loan options. Small business owners are the target audience of the lending platform since they can find offers of up to $100K at an affordable interest rate. The set of services is multifarious with term loans, SBA loans, merchant cash advance, invoice financing, business loan calculators, etc. Fundera has already helped thousands of small companies to grow and keeps its focus on making loans accessible to everyone. If you want to become an investor, fintech industry offers many possibilities for getting passive income. EarlyShares is a Rails-based platform for real estate crowdfunding. Users can review offers and opt for the most suitable solutions. The minimum threshold amount, as well as an internal rate of return, differs depending on the project. In some cases, you can become an investor with $5K only and expect over 12% return. You won’t find any difficulties with the selection and can be confident that extensive due diligence has been done on every offer. When talking about fintech, we can’t help but mention its subfield insurtech. Ruby on Rails is represented on the market by the service called Kin. With this solution, users get access to an affordable and simplified insurance process. Kin focuses mostly on home insurance. You need to enter your home address on the app to get a quote. Other insurance types include personal liability, loss of use, and medical. Speed and convenience are the major advantages of fintech in insurance. The major difference between fintech and regular startups is a high focus on money and transactions related thereto. Money is an asset created and regulated by public authorities. Hence, any project linked to the asset requires a more sophisticated approach to the pipeline. In addition, your idea is likely to reshape traditional models of financial services, which can create further complications..
From the development point of view, we cannot claim that all fintech projects are hypercomplex and require extraordinary techniques and technologies. Everything depends on your goals, budget, and other factors. At the same time, handling money envisages a more responsible approach to security and processing since a small error might trigger adverse consequences (not to mention specific regulations). On that account, in addition to basic requirements like development costs, time-to-market, availability of engineers, fintech projects usually entail an elevated focus on security, fraud protection, and analytics. Web app security requires prevention of versatile attacks including cross-site scripting, SQL injection, cross-site request forgery, clickjacking, command injection, etc. If you are going to deal with your customers’ money, a high level of security and fraud protection should be your first priority. Effective security enforcement requires advanced design efforts towards not only client and server-side code but also adjacent policies like creating and restoring passwords. Most server-side web frameworks including Ruby on Rails provide robust and elaborated mechanisms to prevent a variety of common attacks. Besides, you can always opt for vulnerability scanner tools to eliminate errors in your product structure. As for fraud protection, financial services providers are actively leveraging the benefits of fintech machine learning instead of traditional security systems. 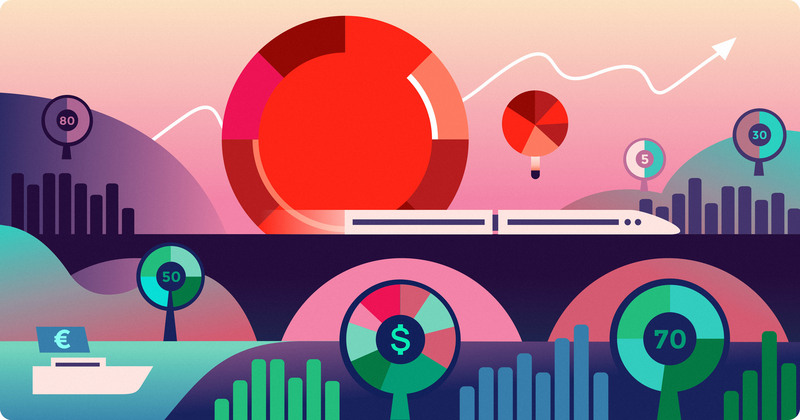 Analytics can be another challenge associated with your future fintech startup. However, it is not exceptional one since a lot of businesses leverage analytics-driven decision-making model today. On that account, the choice of a proper technology for the project is crucial. However, try to avoid the bad practice of choosing the programming language based on a flash in the pan trend or popularity. It is better to weight all pros and cons related to data science, including performance and productivity of the code. If you expect to build a product to handle numerous concurrent requests, you should avoid sloppiness in the programming. You might encounter a post claiming that Python is a top-notch language for that purpose – do not believe it. Recently, we made a general comparison of Python vs. Ruby vs. Node.js, as well as their frameworks. For purposes of high traffic capacity apps, you should pay attention to such languages as Java, C#, Scala, Elixir, and Go. They are the most appropriate options due to good support for concurrency and parallelism. At the same time, the tech stack you choose for a high-performance web project is not a decisive point. The database often becomes a web project’s bottleneck, and your focus turns to database optimization. Can Ruby on Rails solve fintech challenges? RoR is built on the general-purpose programming language known as Ruby. The technology is in-demand nowadays and has plenty of supporters. However, you are less interested in why you should use Ruby on Rails for your product, and more possible fintech applicability of this tech stack. Rails can boast numerous advantages including quick prototyping, rapid development, high quality of code, respectful development principles, a rich ecosystem of third-party modules, the Model-View-Controller architectural pattern, vibrant community, etc. The real evidence is over 2 million web apps built with RoR. At the same time, performance is the framework’s weak point. Moreover, we’ve already mentioned that fintech projects favor static-typed programming languages which Ruby does not belong to. Let’s try to figure out whether your fintech project should be built with Rails. Many engineers opt for RoR because of its high productivity. On the web, you may encounter a claim that the app building cycle with Rails takes around 30% fewer time expenses than with other available tools. We cannot be sure exactly of this figure, but, in practice, the development process is smooth and fast. Ruby on Rails has a plethora of modules, generator scripts, and open-source libraries (gems) to build a complex app in a short period of time. A high speed of prototyping and well-developed test coverage culture are other development accelerating factors. We said that security is a number one point to consider in any fintech project. Fortunately, Rails has numerous built-in security mechanisms. If an item is not available by default like authentication protection, you can always find a gem to address the issue. The framework provides features to build secure apps, but it is not a plug-and-play solution. For this reason, it is better to learn the Rails security guides to avoid any troubles. It’s hard to imagine a financial application, which does not use some kind of database. For example, in the abovementioned Quorso, data arrays are processed by SQL instead of the back-end programming language. A big part of the core application logic is implemented in pure SQL. RoR’s MVC architecture significantly simplifies the work with databases. In many cases, the framework’s ORM layer allows you to avoid writing complex SQL queries manually. Rails also gives a flexible way to make database changes in a structured manner and describe them with a neat DSL. Ruby’s performance is at the level with other scripting languages like Python or PHP. It means that compiled languages including Java, C# or Go will outperform the scripting languages in raw performance numbers. But in the real world, only small parts of an app can have heavy-load requirements. Thus a hybrid approach can be employed for the development process. You can implement high-loaded parts in compiled languages while the rest of the application will benefit from high development speed using Ruby. To wrap it up, we can claim that Ruby on Rails is a stable and mature framework. Its core features including high code quality, built-in security capabilities, low development costs/time to market, vibrant community, and a huge open source ecosystem make Rails a hit-the-spot solution for most fintech startups. The demand for the framework is immense, and it’s still the most popular web framework among developers. Railsware also banks on RoR and has already leveraged it in many projects, which you can see on our fintech software development page. If you are a fintech founder, you have to weigh all pros and cons of tech stack to use for your project. Attention should be paid to not only the type of the final product but also its development cycle, time-to-market, and lifespan. As soon as you realize the terms and characteristics of your app, you will decide upon the technology to fit your goals.